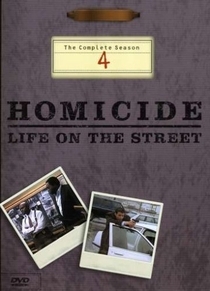 The fourth season of Homicide: Life on the Street aired in the United States on the NBC television network from October 20, 1995 to May 17, 1996 and contained 22 episodes. 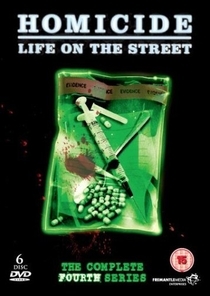 The fourth season marked the debut of two characters: Detective Mike Kellerman (portrayed by Reed Diamond), who transfers from Arson to Homicide; and J. H. Brodie (portrayed by Max Perlich), a news cameraman who is hired as the unit's videographer. The season was also the last to feature Captain/Detective Megan Russert (portrayed by Isabella Hofmann) as a regular. Drug kingpin Luther Mahoney (portrayed by Erik Dellums) also makes his first appearance. Stuart Gharty (portrayed by Peter Gerety) also debuts in a guest appearance. Guest stars include Lily Tomlin, Jeffrey Donovan, Bruce Campbell, Jerry Orbach, Benjamin Bratt, Jill Hennessy, Chris Rock, Marcia Gay Harden and Jay Leno. The DVD box set of season 4 was released for Region 1 on March 30, 2004. The set includes all 22 season 4 episodes on six discs.